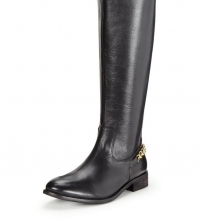 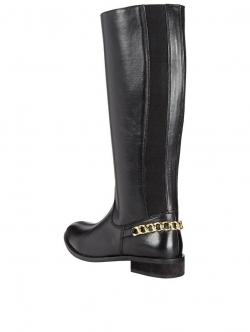 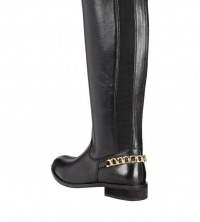 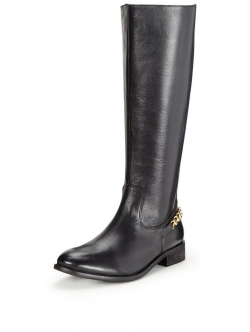 Get ready for cooler climes with V by Very's Hayley Boots. 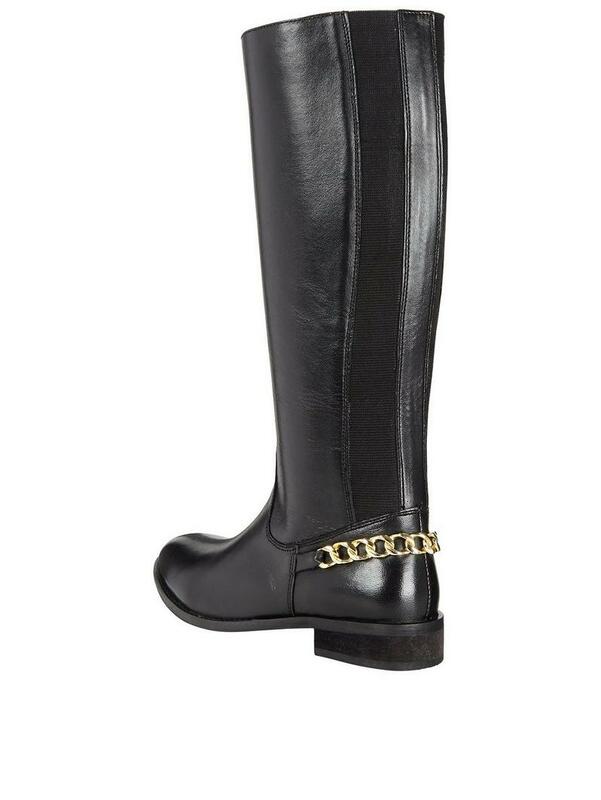 Crafted from sophisticated black leather, the subtle gold chain detail will give every outfit a hint of biker chic. With just a small heel, these boots are perfect for your off-duty winter wardrobe.